Veteran Returns to his home state of South Dakota for the Best Party Anywhere! August 7, 2015 – Mooresville, North Carolina - Army veteran, Brent Stott, of Wilmington, North Carolina was randomly selected as the winner of the “Ultimate Trip to The Chip Sweepstakes” presented by Madvapes. 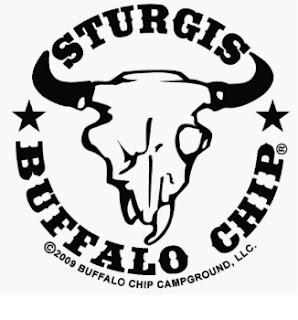 Stott, an Army veteran who served two tour duties in Afghanistan, returned to his hometown of Deadwood, South Dakota to attend the event as guest of Madvapes and the Sturgis Buffalo Chip. “We couldn't be more excited that an American patriot won the “Trip to the Chip”. What’s even more exciting is that Brent was able to return to his hometown of Deadwood, SD, located just a few miles up the road from Sturgis,” Stated Mike Schriefer, marketing representative for Madvapes. The winning package for the Trip to the Chip includes all travel expenses to and from North Carolina, a private RV on site at the Buffalo Chip Campground, a Victory® motorcycle to use during his stay, two VIP tickets to all concert events, a 75th anniversary edition Ephiphone guitar and Deviate mod to take home with him. manufacturers of the vaping industry. As the “Official Vape of the Buffalo Chip Music festival”, Madvapes features special 75th Anniversary limited edition vaping hardware, including the Deviate and the all-new Patriot Vapor e-liquid. About Madvapes: Founded in 2009, Madvapes is a leading vaping company with national and international reach through its e-commerce web site and over 60 company and licensed stores located in eight eastern states all the way to west Texas. Madvapes creates its own hardware under the MV Authentic’s label and offers the finest hardware and e-liquids in the industry.